There is a crown of life waiting for everyone who loves My Son. and not to me only, but also to all those who have loved his appearing. The Apostle Paul is nearing the end of his life when he makes reference to his spiritual son, Timothy. 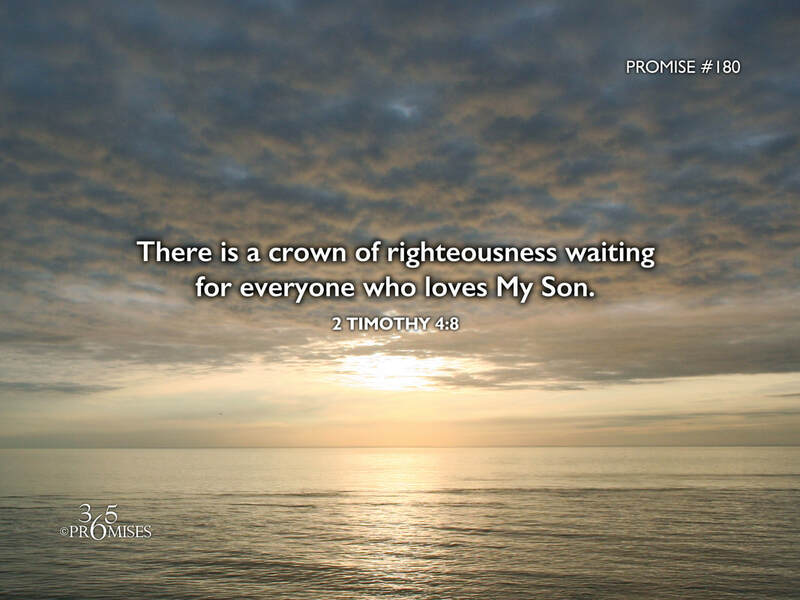 He boldly proclaims that there is a crown of life/righteousness that is stored up in heaven for him that God Himself will place on his head on that special day. He also says that there is not only a crown waiting for himself, but for all those who love the Lord Jesus Christ and look forward to His appearing. That makes me wonder if there is a literal crown prepared for each one of us that is in some heavenly storage case waiting to be presented on the day of Christ's appearing. It is comforting for me to know that one day, I will stand before my God and Father and beside my elder brother, Jesus Christ, when the crowns will be handed out. Imagine what it will feel like to have the King of kings place a crown on your head that will never fade! While I have no ability to process such a glorious thought, it does cause my spirit to rise up in anticipation for that amazing day.